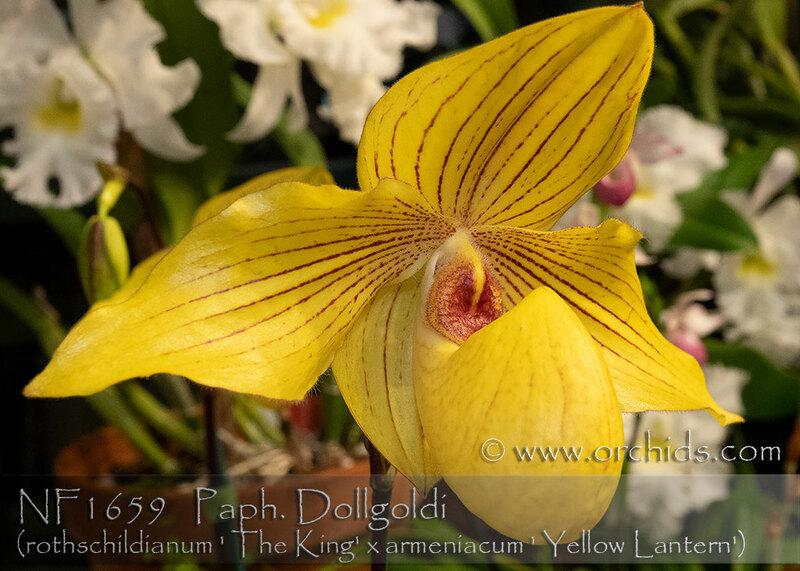 Exceptional, large, canary-yellow flower with burgundy veins. 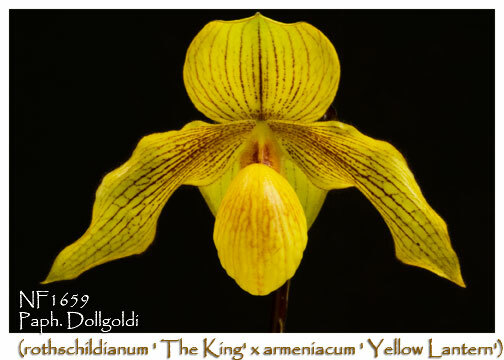 Over twenty quality award has been granded by American Orchid Society. Remake with two fantastic species parents. Recommended. Note: Jumbo Mature Size Leaf Span 14-16"